The Chrysler Pacifica has quickly become the most popular and sought-after minivans on the market. 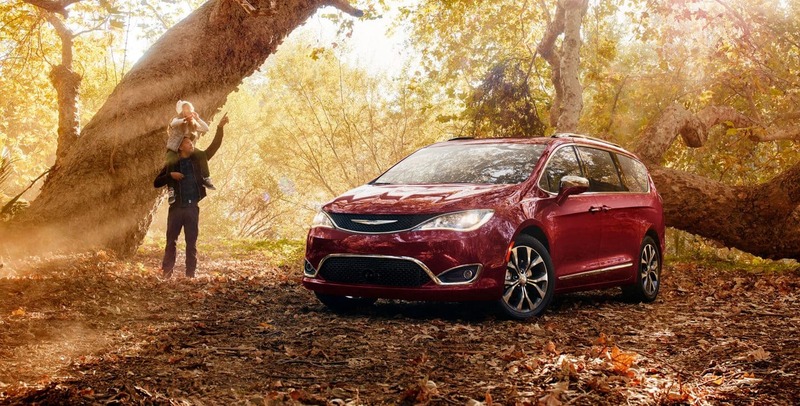 With its devotion to comfort, safety, and fun, the Pacifica delivers on every level. But what makes the Pacifica a particularly unique minivan is its stylish, sporty, and sleek design. There are also two innovative engine options, allowing customers to find the perfect powertrain for their needs. 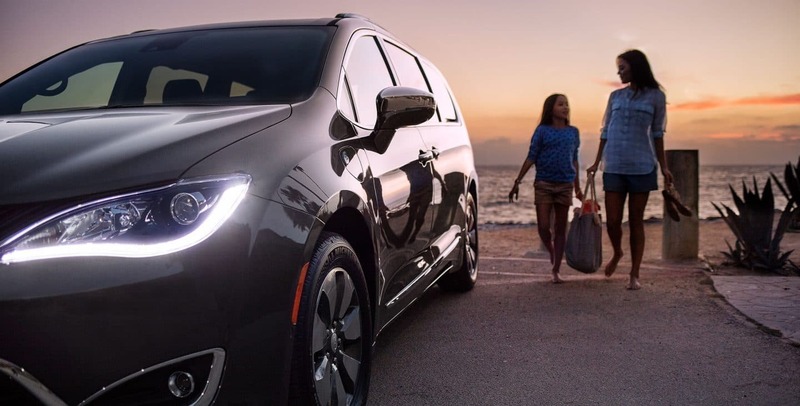 Continue reading to learn more about the 2019 Chrysler Pacifica! Are there new features for 2019? The incredible Pacifica has gained some outstanding features for 2019. Chrysler has widened the availability of packages for both the regular gas-powered Pacifica and the Pacifica Hybrid. The S Appearance Package, which is now available on both models, features a variety of blacked-out design elements for the exterior and interior. There are many new wheel options, and two new paint colors in Maximum Steel and Luxury White. Overall, each of the trims has received something new, providing customers with an incredible value at every level. The 2019 Pacifica is powered by the next generation of the Pentastar V-6 engine. This engine is paired with the outstanding and segment-exclusive TorqueFlite nine-speed automatic transmission. 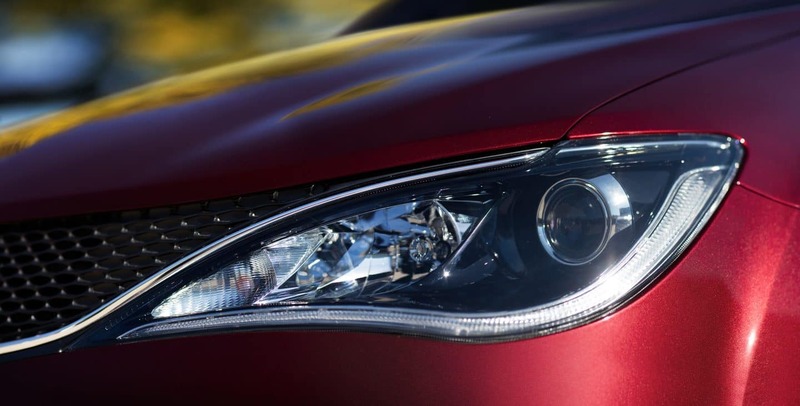 The regular Pacifica delivers 287 horsepower and 262 lb-ft of torque. The innovative Pacifica Hybrid is the first hybrid offered in the segment. It utilizes a dual-motor eFlite electrically variable transmission and is notable for being the industry's first electric minivan. The Pacifica Hybrid provides an electric driving range of 33 miles or up to 84 MPGe. The total gas and electric range come to 566 miles! Can you tell me more about the available features and options? Customers are offered six trim level options: L, LX, Touring Plus, Touring L, Touring L Plus, and Limited. The Pacifica is available with many great standard and available features for 2019, including auto headlamps, Advanced SafetyTec Group, heated steering wheel, and auto-dim rearview mirror, to name a few. The Chrysler Pacifica Hybrid is available in three trim levels - the Touring Plus, Touring L, and Limited. 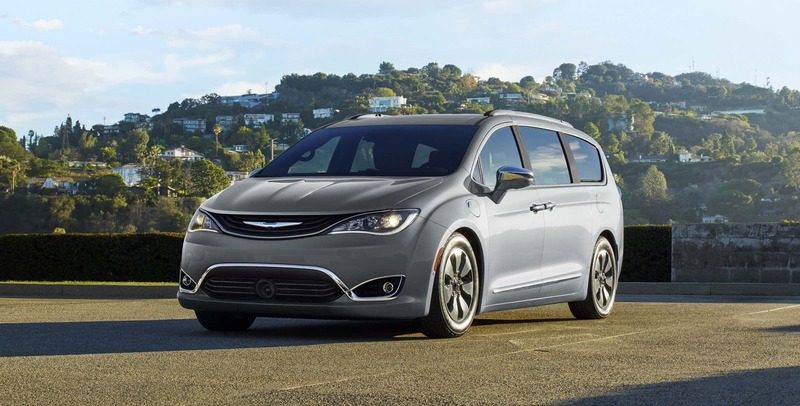 New available features for the Chrysler Pacifica Hybrid include 17-inch polished wheels with painted Tech Grey pockets, auto-dim rearview mirror, Cold Weather Group, Premium Audio Group, and more. 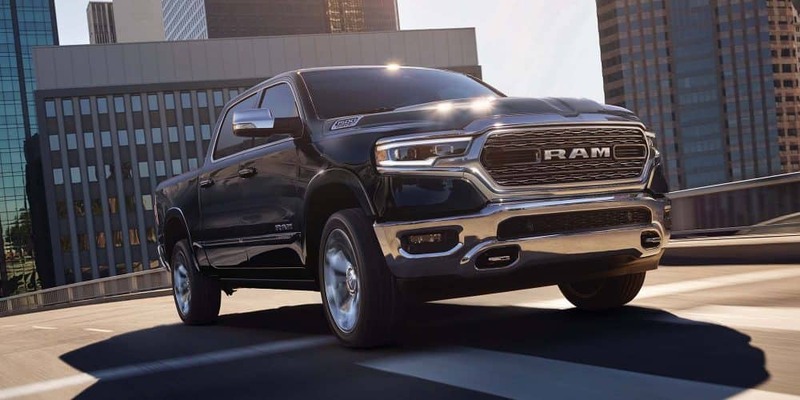 In addition to the two new paint colors in Luxury White and Maximum Steel, Chrysler offers the following colors: Velvet Red, Billet Silver Metallic, Dark Cordovan, Ocean Blue Metallic, Granite Crystal Metallic, Jazz Blue, Brilliant Black, and Bright White. For the interior, the Pacifica is available with cloth, leather, and premium leather fabrics. Interior colors include Black, Toffee, Alloy, and Deep Mocha. The incredible new 2019 Chrysler Pacifica is truly a cut above the rest, offering unmatched style, power, and innovation. 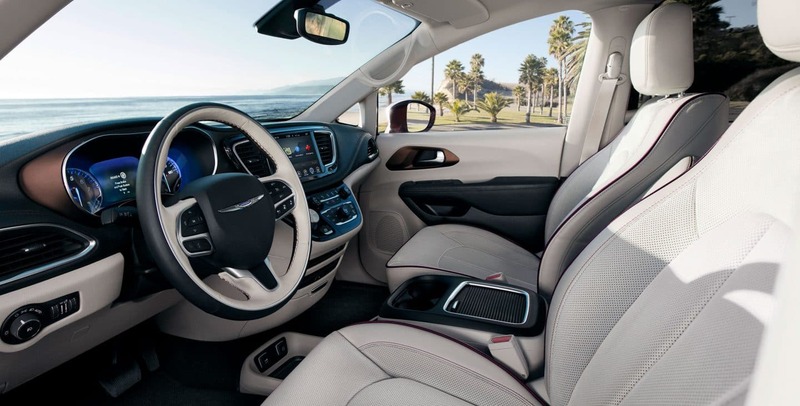 Both inside and out, the Pacifica has been equipped with the latest design options and cutting-edge technology. 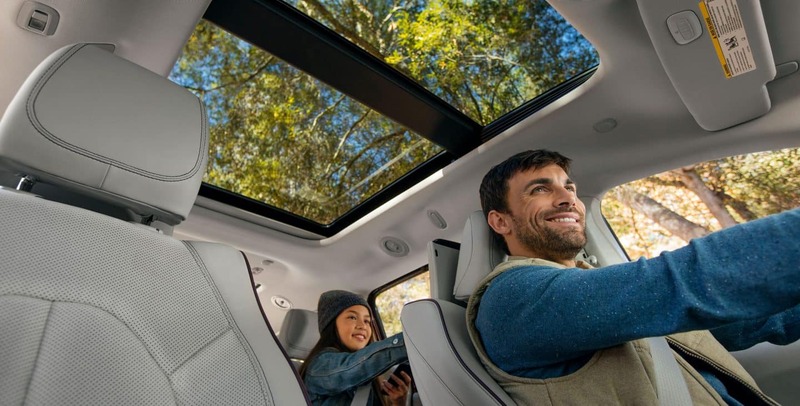 If you are curious to learn more about the new 2019 Chrysler Pacifica we would be happy to help, so contact us today at Bodwell Chrysler Jeep Dodge RAM!